Digital marketing expert and software developer Andrew Fox announced the launch of ITaggz, a new social media marketing software allowing users to find and leverage popular Instagram tags to create high-engagement social media campaigns. Featuring plenty of hashtag management, organization and distribution options, the software is ideal both for marketers and business owners interested in increasing their online marketing success. More information can be found at http://letsgolook.at/ITaggz. Instagram is an extremely attractive platform for companies and marketers looking to connect to a wide online audience; not only does the popular platform boast more than 1 billion active users, but it also has the highest engagement rate. With an average of 2-7% of all users interact with each post, it is ideal for companies interested in spreading their message to more potential customers. 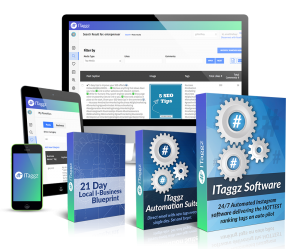 ITaggz allows digital marketers and local business owners to leverage the potential of trending hashtags to create successful Instagram campaigns. The software is easy to setup and operate, running 24/7 in the background and taking only minutes to use. Based on the user’s target business profile or hash tags that they want to follow, the software tracks the top ranking tags automatically, 24/7. Users then receive an e-mail list of the top ranking tags, which they can then use to create their own successful Instagram campaigns, boosting the visibility of their posts and profiles. Digital marketers can send the lists to their clients, thus helping them customize their social media campaigns according to the latest trends. One of the main benefits of using the software is that it identifies trending tags in their early stages, thus allowing users to gain an important edge over their competitors. The software is currently available at a special discounted price. Interested parties can find more information by visiting the above-mentioned website, as well as at https://muncheye.com/andrew-and-chris-fox-insta-tags.